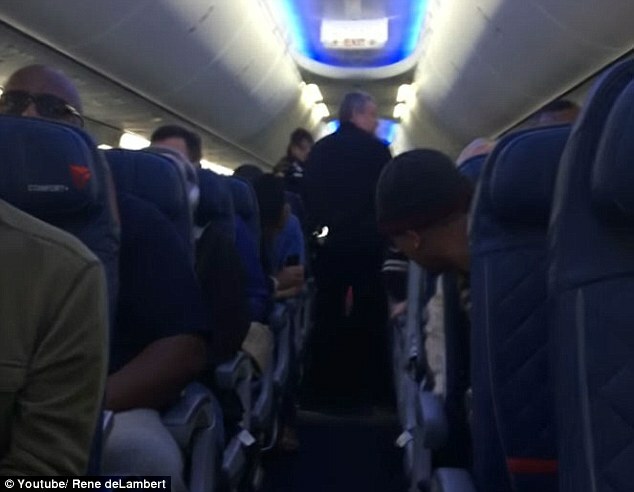 The woman, who remains unnamed, refused to leave Delta flight 2038 at Detroit Metropolitan Airport before it took off for San Diego around 8am on Monday, according to a Delta spokesperson. According to Rene deLambert, she stormed past the gate agent and failed to check in 'because she wasn't an early boarder' before demanding overhead bin space, FOX reported. 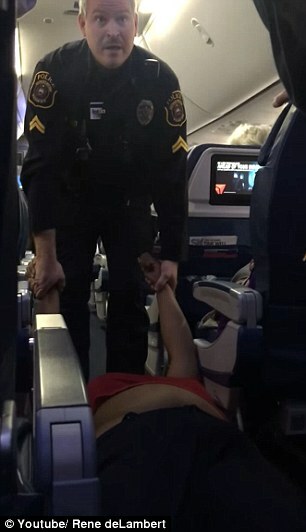 Video footage of the incident, which was shared by blogger RenesPoints, showed police dragging the woman down the aisle by her arms as she lay flat on her back. Many of the passengers craned their necks and expressed their shock as they watched police officers struggle to pull her off the plane. 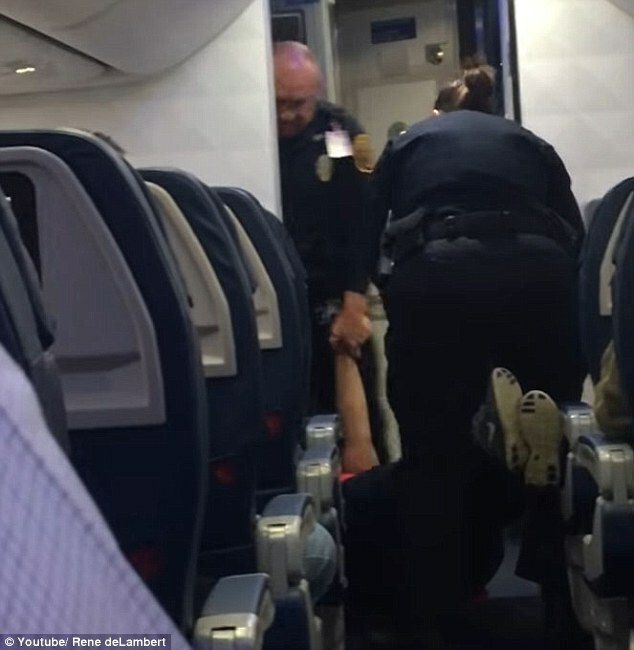 Erica Donerson, a spokesperson for Delta Air Lines, said the passenger 'would not comply with boarding and baggage check procedures'. She added: 'When officers arrived, Delta Air Lines stated the woman could not remain on board. It is unclear if she was injured. The flight was briefly delayed, and took off at 8.30am.